5 Essentials to a Healthy Breakfast: Breakfast is the most important meal of the day. I am sharing with you easy ways to make your breakfast healthy so you have no excuses to not start the day off right. Me, well, let’s just say I have been forced to become one. But even though I am used to rising by 5:30 AM each day, I am still not at my sharpest in the morning. One thing that is crucial to my morning is a good breakfast. If I skip breakfast or do not eat a well-rounded meal, TROUBLE. I am grouchy, my blood sugar fluctuates, I crave junk food, and it seems my whole day falls apart. We have all been told breakfast is the most important meal of the day. But sadly, most Americans do skip breakfast or grab something from a greasy drive-thru or a packaged bar full of sugar. And we wonder why we run into so many people who seem a bit moody? You do NOT want to come into my path if my blood sugar is dropping. Moody is an understatement. So how do we ensure that we don’t skip a healthy breakfast in the morning? I have some easy breakfast hacks to share with you to get your days off to the right start. Protein is what keeps you full and staves off hunger all morning long. It also helps your brain to function better and your blood sugar stay stable. It is the MOST essential part of building a wholesome breakfast that will power you through your day. Let’s say you were to make a bowl of oatmeal with 1 cup milk and 2 tablespoons peanut butter. That would leave you with a breakfast that has 22 grams of protein, which is a great amount of protein to start the day with. Whole grains are a great source of fiber. Fiber keeps your digestive system working properly and keeps you full as well. Whole grains also help to balance blood sugar. When paired with protein and healthy fats, your body will work to break down whole grains slowly and efficiently. Yet another crucial ingredient to keeping you full. Healthy fats, from avocados, nuts, olive oil, etc, also help the condition of your skin and hair and your brain functioning at optimal levels–needed for those business meetings or school tests! Coconut Oil: use for sauteing eggs or melted into a smoothie or oatmeal bowl. Avocados: Use avocados on avocado toast, or as a drizzle on eggs, like in my Sweet Potato Hash. Flax Seed: Try adding 1 tablespoon flax seed to smoothies and oatmeal. Don’t forget to include AT LEAST one serving of fruits and vegetables in your breakfast–otherwise, you will find it hard to get your optimal daily intake. Not to mention the all the array of nutrients and vitamins fruits and veggies provide. Make smoothies with both fruits and vegetables. I love my Kale Berry Smoothie, Sweet Potato Pie Smoothie and Blueberry Pie Smoothie, all which use both fruits and vegetables. Add bananas to oatmeal and make Banana Pie Oatmeal. Or add apples and make Apple Pie Overnight Oatmeal. Add carrots and raisins to oatmeal to make Baked Carrot Cake Oatmeal. A hash, like Sweet Potato Hash, is a great way to use up vegetables for a hearty breakfast. Leftover roasted vegetables are always delicious in a Vegetable Fritatta. Add spinach to baked eggs, for Green Eggs and Ham Breakfast Sandwiches. Or really make breakfast fun with Zucchini Bread Pancakes. Without packing lunches, putting clothes out, packing book bags, and planning what we are going to eat for breakfast in the evening, my next morning quickly turns from not my favorite part of the day, to the WORST part of the day! 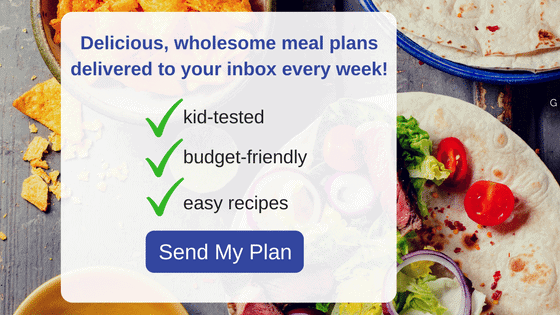 It only takes a few minutes and ensures that your morning will go 1,000 times better than if you opted out of prepping. Not only does prepping lunches the night before make my mornings easier, but making breakfast the night before helps tremendously. 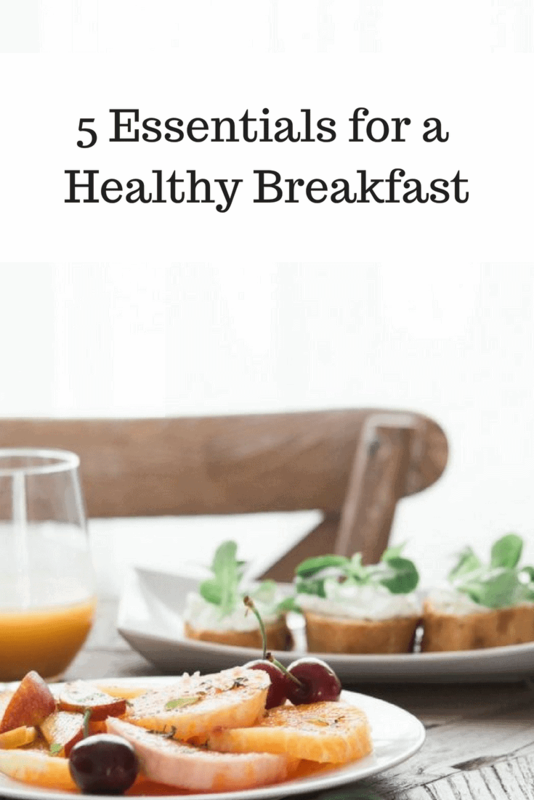 I hope that all these ideas and tips inspired YOU to eat a healthier breakfast and start your day strong! Wonderful advice! Protein is where I’m lacking—I definitley need to plan ahead. Oatmeal is a great opiton! Great ideas for smoother mornings Kristen!! I really need to work on packing lunches the night before. My older boys pack their own lunch but I scramble to get my littlest guy and his lunch out the door on time. 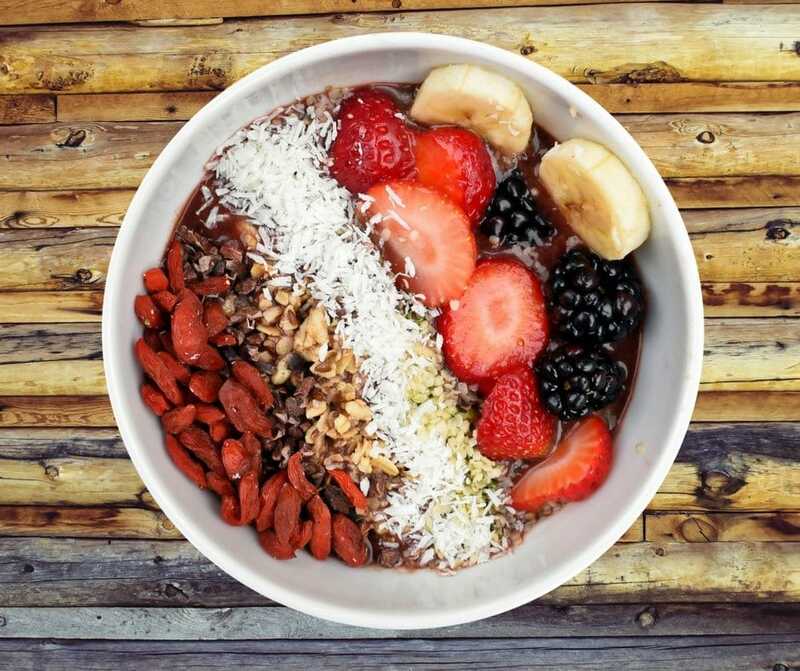 And yes, oatmeal is always a great idea with endless options! I make my breakfast and program the coffee pot the night before! Well, this oatmeal is a great option for you! Ok this might just be the COOLEST product I’ve ever seen!! What an amazing way to get a healthy breakfast in! These are very cool. I just started finding the soup and oatmeal kcups! I had no idea they existed. Very very smart and a really good source for breakfast. I really need to be more careful about my breakfast choices! I eat at 6 when I get up for the youngest but by the time I hit my job at 9, I’m starving again and grab unhealthy things! That oatmeal looks so good, and perfect for fall! I miss eating oatmeal since I am going Paleo most of the time but I do love it and it keeps me full and feel better! My kids are going to love these! I would miss oatmeal too if I went Paleo–good for you for sticking to your diet! I am very guilty of not eating breakfast! I love this idea though. I have a Keurig and I would definitely try this. I will be on the lookout for this product! Michelle, this may be your solution–so easy and so tasty! I’m the worst when it comes to breakfast but I’m always trying to find new ways to get my daughter to eat before school. This may be just the trick! I hope it is the magic trick to get your daughter to eat breakfast before school–it will surely help her have a better day! Well played! It really does help to be organized about it. These are genius! Cannot wait to try them! Wonderful for a busy mom and crazy mornings. Totally awesome for busy mornings! Laying everything out the night before helps us. I also out yogurt into those silicone Popsicle tubes for grab and go! Missy–I do yogurt in silicone Popsicle tubes too–love them! breakfast is the best meal of the day! I need to try those k cups! Rachel, the best “premade” oatmeal I have ever eaten. I’m not really a breakfast eater, but have tried harder so I don’t end up snacking all day. Great ideas. Oatmeal is always a go to for me. Oatmeal truly does help me get off to the right start too! Those look so good! I will have to try that for sure! I love to make breakfast muffins and have them for a few days ahead. Just pop them in the microwave and they are done- perfect for on the go, too! I also love to make smoothie bags and in the morning I just have to blend it all and it’s done that fast! Starla, those are fabulous ideas! I love having a muffin or smoothie for breakfast! All great ways to get ready for the morning!! 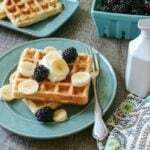 I can always use some help in the breakfast department…..I rarely eat it….however these will be great for my hubby, my son and even my in laws who live with us. I especially think my MIL will love these! Great post. Denise, you NEED to start eating breakfast. I am telling you this for your own good 🙂 Ha! Just because I care about you! I never used to be good with breakfast but am much better these days – often have pancakes with my son packed with carrot and apple/pear and part whole wheat flour, or oatmeal or other homemade cereal/muesli with fruit. Isn’t it funny how kids make us change our habits–and typically for the better! Totally agree! It can be difficult to include protein at breakfast but this post has helped! I am so happy it helped you Shanti! Sounds like you are organized and ready to go! These look awesome! I can keep them in my desk drawer for the mornings – I really need to be better about breakfast! That is exactly what I told my husband–he can have a box at work for when he forgets breakfast. No more excuses! Some awesome advice and ideas here! I normally just have coffee for breakfast, which is terrible I know! But with my new job starting soon I definitely need to start eating a proper breakfast so this post couldn’t have come at a better time! Yea!! Hope this helps you get off to the right start with your new job Michelle! I get as much ready the night before as I can. Clothes laid out, breakfast items ready to be made, these seemingly simple things make life a bit easier in the AM. Seriously LOVE this article. I’m not a morning person myself and I always grab and go, but try to eat somewhat of a balanced breakfast. Thanks so much for all these food tips. I will be trying them out! 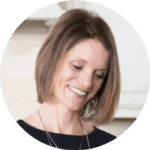 Thanks so much Natalie–so glad to hear these tips helped out! Great tips! I absolutely agree with the protein bit – it helps stave off mid-day cravings. I just started to make my own smoothie freezer packs so that all I have to do is wake up and blend. Prep saves so much time! That is awesome to have your own go to freezer packs of smoothies! This is the second time in as many days that I have heard about these oatmeal cups – I am intrigued – will have to give them a go!! Don’t forget to the coupon. I was stunned at how good they are! Love this advice! I have been trying to get in the habit of waking up at 5:30 because whenever I did it really felt like a great day!… but I have been failing lol. Great that you have accomplished waking up this early as well as prep for the night before. Thanks for sharing! It can be hard some mornings to wake up for sure!! Great tips… I really need such tips with five kids. Mornings are always very hectic with them. Yes, Mornings with 5 kids would certainly be hectic! These are so awesome, I can’t wait to get my hands on them! I’m always looking for ways to change up my breakfast and these look perfect. They are perfect for busy mornings! I get so much done when the kids are out the door for school! Ha! ha! Me too girl! Love your tips for a great morning as well! Always get up BEFORE the kids!!! Those extra few minutes always help.